The sleeveless duster blazer : Move waistcoats and full blazers, step in the sleeveless duster blazer. With this you do not have to worry about losing your jacket when the weather suddenly changes. The sleeveless duster blazer is not only a very fun and stylish accessory, it is every girl’s solution to low cut jeans. With this blazer, you do not have to worry about the complications of these jeans, or a plain and boring look. Thinking of how to wear it? For starters, you may want to get two options of this coat; a neutral coloured one like in black, grey or olive green. Then you can add a pastel coloured one. Anything between peach or lime green is perfect. For look one, add your duster blazer to a pair of skinny jeans and a crop top, then add a pair of strappy heels, or sneakers to the look. For look two, you can add this trendy accessory to your body con dress and thigh high boots look. Even though this look may seem covered up, it is very eye-catching. Depending on how you pair up this blazer with the other elements in your look, you can easy turn this from a daytime look, to an evening-out look. You can also pull off a tone of looks, including the monotone, a two-toned look or even a monochromatic look. In case you are wondering where you can get this trendy piece from, any shopping point, uptown or downtown will have these blazers available. The sleeveless coat or blazer can be rocked during any season. The trick is in how you choose to wear it. 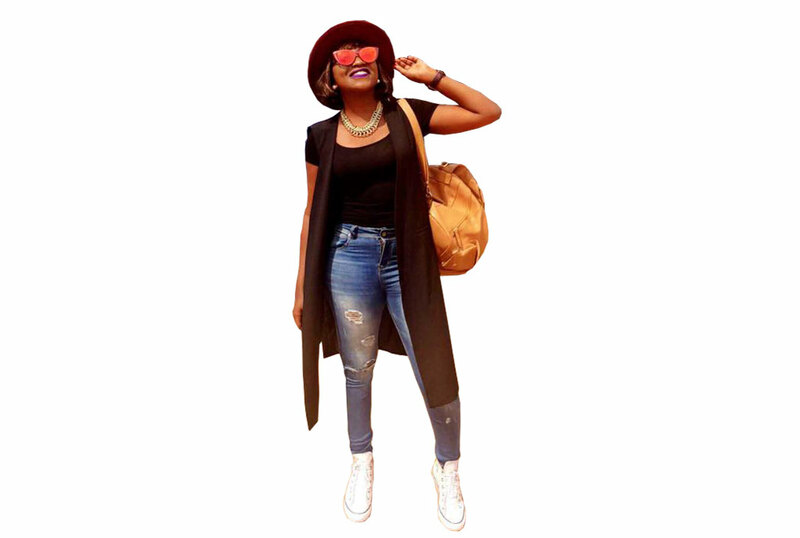 During a hot season, you can wear your duster with a sleeveless, crop or light top or little dress and when it is cold you can wear it with a sweater or long sleeved top with pants. Avoid flares.